If you need any additional information, about cleaning up you marketing list, pricing etc. <Click Here> for an your questions & immediate response. Returns a name and an address based on either a provided email address or phone number. Checks the validity of address, phone, email, and name. 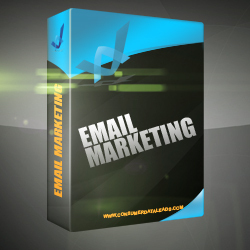 Returns a valid email address associated with a provided name and address. Returns the current addresses for U.S individuals and companies that have moved going back 10 years. Cross-matches a contact name with an address to make sure the two are associated. Returns a contact name associated with the provided address, email address, or phone number. Returns a valid phone number associated with the provided address. Get Expired Listing Phone Numbers!!!!! The pricing for Consumer Email append has a $750 minimum per file fee, append rate of 10-35% and a turnaround time of 5-7 Business Days. 30 day guarantee. Here is the pricing for Business email append, per file min $750, turnaround time is 7-10 business days. 30 day guarantee. Here is the pricing for Phone append, Min $200 per file average append rate is 30-50%, turnaround time is 1 Business Day.30 day guarantee. No matter what industry you are in, the most valuable tool in your marketing tool box is your contact list. A contact list is a wealth of information on people that you can market to. Your list may be made up of current or past customers, prospects who have opted-in to your marketing, prospects who have expressed interest in your product or services, prospects that have purchased similar products or services, or prospects who fit your customer demographic. to review data format required from you! Move Update – add current addresses for contacts who have moved in the last 10 years. A clean contact list will improve customer communications and promote business growth by ensuring your marketing and sales campaigns reach their intended recipients in a timely manner. Data Hygiene cleans and enriches the contact information in your list. It checks, verifies, and updates names, addresses, phones, and emails. It adds missing names, addresses, phones, and/or emails to your contact record. For example, if you provide the information “John Doe, 123 Maple Street, Orange, CA, 90000,” we can append a phone number and/or email address. If you provide “John Doe, JohnDoe@JohnDoe.com,” we can append a phone number. If you provide “John Doe, 555-555-5555,” we can append the email address. Here’s how it works: you buy tokens that go onto your account ($55 for every 10,000 tokens), send us your list in an Excel format, and we will append it as requested. Each action costs a certain number of tokens per record, which will be deducted from the tokens in your account. Tokens never expire, and all unspent tokens remain in your account and can be used at any time. Want to find a phone number and/or email address? If you want to add phone numbers to a list, that would be 15 tokens per record. If you want to add phone numbers and emails to a list, that would be 32 tokens per record. We run your list through our national consumer database to check, verify, and append based on your specific actions required. No Guarantee. List must include a name and address, phone, or email, and we will complete your database by appending/verifying it as requested. If you have an exceptionally large list that needs updating, call for pricing at 866-377-4599. We run your list through our national consumer database, USPS, validate both phone & email addresses. Guarantee phone & email address for 30 days. Please read the following information below on this page carefully before using this site. By using this site you agree to these terms and conditions. If you do not agree to these terms and conditions, please do not use this site. The terms and conditions herein apply to CDL Data its parent companies, subsidiaries, affiliates, divisions, contractors and all data sources and suppliers all of which are referred to herein as “CDL Data.” The terms and conditions herein are in addition to, and do not override, the specific terms and conditions that apply to the products or services offered by CDL Data and otherwise through this site. DATA SOLD ‘AS IS’ AND ALL SALES ARE FINAL AND NON-REFUNDABLE. INFORMATION AND PRODUCTS OR SERVICES OFFERED ON THIS WEB SITE ARE PROVIDED “AS IS” WITHOUT ANY EXPRESS OR IMPLIED WARRANTY OF ANY KIND, INCLUDING WARRANTIES OF MERCHANTABILITY, FITNESS FOR A PARTICULAR PURPOSE, OR NON-INFRINGEMENT. IN NO EVENT WILL CONSUMER DATA LEADS BE LIABLE TO ANY PARTY FOR ANY DAMAGES OF ANY KIND, INCLUDING BUT NOT LIMITED TO DIRECT, INDIRECT, SPECIAL OR CONSEQUENTIAL DAMAGES ARISING OUT OF THE USE OR INABILITY TO USE THIS WEB SITE, OR ANY LINKED WEB SITE, INCLUDING WITHOUT LIMITATION, LOST PROFITS, LOSS OF USE, BUSINESS INTERRUPTION, OR OTHER ECONOMIC LOSSES, LOSS OF PROGRAMS OR OTHER DATA, WHETHER IN AN ACTION OF CONTRACT, NEGLIGENCE OR OTHER TORTIOUS ACTION, EVEN IF CONSUMER DATA LEADS IS ADVISED OF THE POSSIBILITY OF SUCH DAMAGES. SOME JURISDICTIONS DO NOT ALLOW THE EXCLUSION OR LIMITATION OF WARRANTIES OR DAMAGES. IN NO EVENT WILL CONSUMER DATA LEADS WARRANT OR GUARANTY THE CORRECTNESS, COMPREHENSIVENESS, COMPLETENESS, ACCURACY, TIMELINESS, MERCHANTABILITY OR FITNESS FOR ANY PARTICULAR USE OR PURPOSE OF ANY INFORMATION, PRODUCTS, OR SERVICES ON THIS WEB SITE. PREMIUM PACKAGE – HOMEOWNER/COMMERCIAL LIST-LEADS & DIRECT MAILERS. PREMIUM PACKAGED IS A *SINGLE USER* PROGRAM. PREMIUM PACKAGE – UP TO 5000 DATA RECORDS PER MONTH. Foreclosure Prospects – NOD’s, NTD’s and REO’s. Bankruptcy,Tax Liens & Judgment and Pre-NOD records are not readily available, we charge a $50 fee per count request to cover the time and expense incurred while researching these records. This non-refundable fee is applied to the cost of the data when you place your paid order. 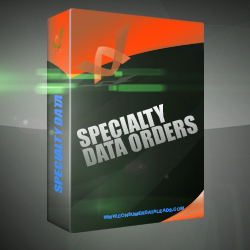 STARTER PACKAGE IS DESIGNED TO FIT THE NEEDS FOR DATA RECORDS ONLY. SINGLE USER DEFINED AS ONE PERSON, NOT SHARING THE DATA WITH ANY OTHER ENTITY AND/OR USE IN A PHONE DIALE’R SYSTEM. 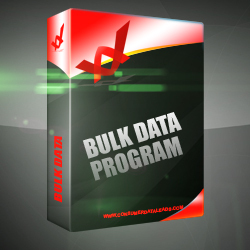 STARTER PACKAGE PROVIDES UP TO 500 DATA RECORDS PER MONTH. *Total late records per month with starter package is 170 records. *Total Reverse Mortgage records for this package is 330 per month. *Some restrictions apply see ‘Get Started’ for details. All Packages require 1st & Last payment with activation. *Single Property Profile per request, maximum 1 per month. **1000 records per request. Excludes: Property Profiles/Farm Packages, Monthly Newsletter and Professional Web Site. DATA APPEND is a prepaid service, and you only pay for what you receive. This is not a monthly charge, nor are you under contract. Any tokens not used for your order will remain on your account and can be used at any time for future lists. The cost is $55 for 10,000 tokens; each record we run is 2 tokens, every phone number appended is 5 tokens, and every email address appended is 5 tokens. Not every record will have a phone number/email; if we cannot append a phone or email to the record, you are not charged the 5 tokens for that record. *Prices are subject to change without prior notice. All credit card billing amounts over $1000 will be split into two separate charges. Cost is $160 per 1000 plus $75/F shipping (delivery of the data). to review Terms of Service & Best Practices #1. Minimum order $100.00. *Prices are subject to change without prior notice. Phone numbers are scrubbed with the DNC registry – we do not guarantee phone numbers. Sending an E-mail is easy – but actually delivering your E-mail to a customer’s Inbox requires a unique combination of service and expertise with advanced technology and services. Send your message to over 137 million double opt-in homeowner E-mail addresses and track your progress with campaign delivery and reporting tools. We can assist your next E-mail marketing campaign whether it’s to boost your product awareness, change your brands identity, or tell the world about your great new product or service. CDL Data is the trusted service provider on online marketing solutions to homeowners and real estate professional nationwide. Need some Extra Money? Become a CDL Data Affiliate! 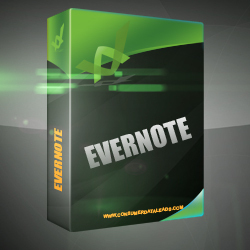 Earn $105-$273 Per Subscription Lifetime Commissions On Monthly Renewals! Earn $75 for each new customer’s setup fee, plus. Earn $30-$200 per month for each recurring package. 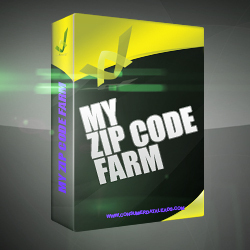 Lifetime Residual Income on all recurring packages. 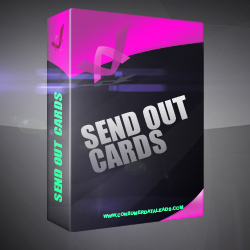 Grow Your Business Using Send Out Cards! 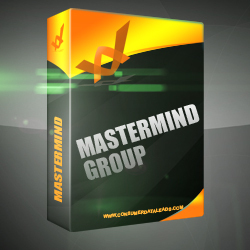 MasterMind Group – The Short Sale ServiceAs a member of the MasterMind Group our unique Short Sale Services, designed for homeowners and agents alike, is the first service provider to bring the leveraged service model for Short Sale negotiations to the real estate community. Performance Based – No Upfront Fees! YES! We handle the entire process for you at no cost. YES! You can walk away, save your credit, and avoid foreclosure. YES! Click Here for new Federal rules report speeding up the short sale process. We handle the entire process from start to finish and our services are 100% free to the seller—we will never charge you anything. Our team is recognized as the best short sale negotiating company in the country, and your assigned representative will be with you through the entire process.